Not all books set in the future have to involve aliens and space travel. The future could be 30 years from now in my expected lifetime where the world is falling apart. Maybe something happens and we don’t even get to space. Then all this science fiction will be just that. Fiction. Space will be nothing without us to admire it. Too morbid? That’s okay, this post won’t be an existential crisis; I save those for 3am when I ‘show restraint’ going to bed after binge-watching Lucifer on Netflix for 8 hours. This post was inspired by the Day 25 prompt from the #FinnFuryRevolution Instagram challenge that I’ve been working through on here. I don’t know if it’s just me or maybe all the books I read are very high fantasy, but I cannot pick many ‘futuristic’ novels off of my shelf. I’ve come to the conclusion that these three novels are the only I could find in that genre. But we’re not here to talk about these books or existential crisis’. This is an opportunity for me to talk about my WIP that I have kind of, but not really cast to the side for the time being; and because I don’t want to completely neglect my first born, I have chosen this time to talk about it. If you’ve been roaming around this blog long enough, you may know about The Inversion. It is a little (or large) apocalyptic/ dystopian novel with fantasy elements about an incident in the future in which the world kinda turns upside-down. No, I will not be appeasing flat-earthers which I think is a small (like really small) reason why this book is taking so long to write. It is very ambitious for me to be writing something of its complexity and I only hope I can complete it in my own short-term future. Why is The Inversion set in the future? That’s the thing! I didn’t know it was until it was. We tend to look to the future as something unknown, a place where really anything can happen because no one knows until we are in it. In actual reality, it should be the same as now; with technology slowly shaping it. I like the idea of having some place that I am able to put all of my crazy ideas into and mess with the plot and characters in a way that is out of the realm of possibility. I have never written a full novel before, so when this idea came to me all crazy and full of potential I didn’t want to be caged in by the rules of realism. I can’t really remember how the idea came to me, but as I was developing the characters in my head and laying them out in Pinterest boards with reckless abandon, I realised that the novel would come to have that kind of carelessness and I should let it. I should let my writing go wherever my heart leads it. Let it get weirder and weirder. So as with all apocalyptic/ and some fantasy novels I’ve read, I let the future hold my story and keep it in a place with no rules. In the realm of the unknown and undiscovered, ready to play my story out and take it as the truth. Thank you for reading! 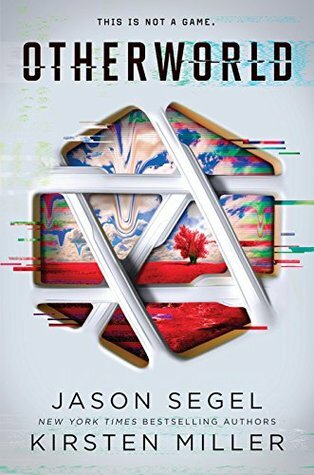 Do you enjoy books set in the future? I like it for the reasons above, but mostly because I want to hear what the author thinks could happen in – or even past – our lifetimes. What do you think will happen in the near future? ?